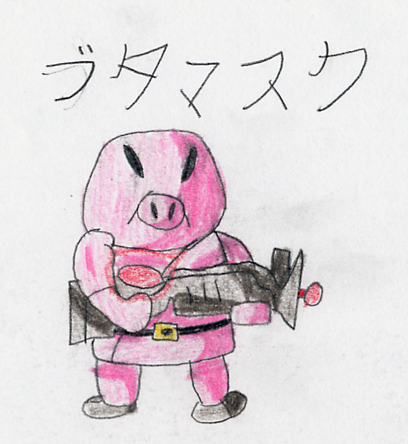 A Butamasuku (Pig Mask) from MOTHER 3! With a gun! lewahi I am NOT a robot! The main character of my fanfic, The Starmen Federation, is Nem Star. Everyone thinks Starmen are robots, BUT I DON'T! RAWR! EVE in America, IVU in Japan. Same pronounciation.